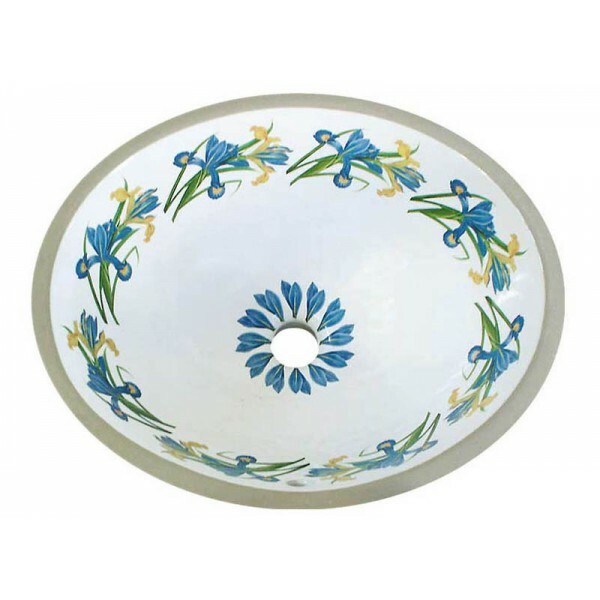 Blue and yellow Iris flowers with green leaves are painted to create a geometric border near the top rim of a under counter basin. Design works great on any sink with a drain in the center. 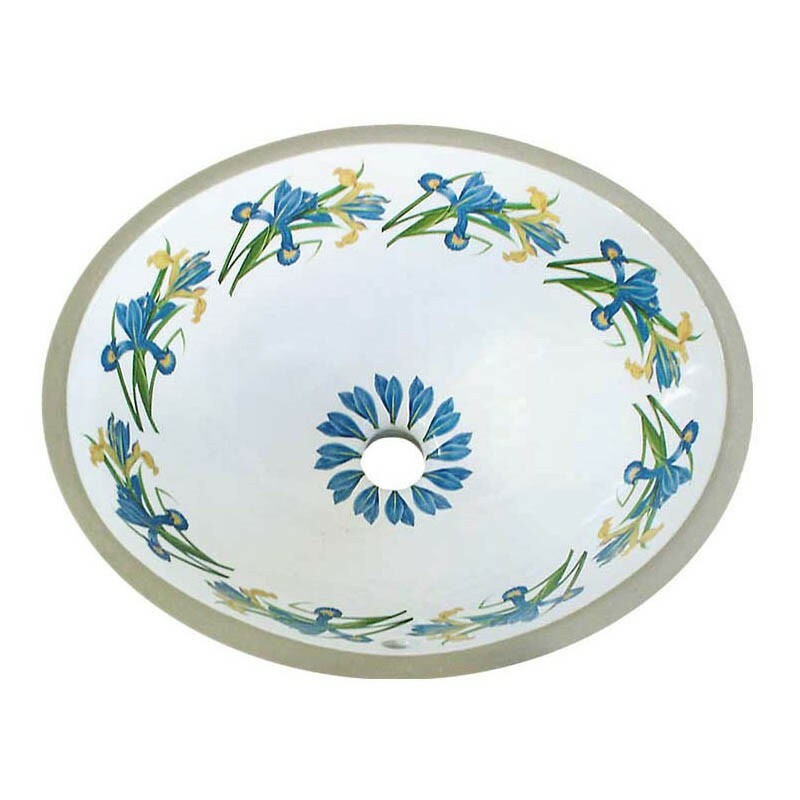 Great for a Country French or "Blue China" inspired bathroom interior. Shown on a Medium Center Drain Undermount. Can be adapted to any basin with a center drain. Visit the Fixture Choices page for options. The sink is absolutely beautiful!